Homepage How Ruth’s Way Helped Me!!! 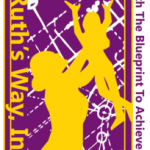 OUR GIRLS WANTED TO TELL YOU IN THEIR OWN WORDS HOW RUTH’S WAY HAS HELPED THEM TO ACHIEVE SUCCESS AS VIRTUOUS YOUNG LADIES!!! My name is **** and I have been active in a girls group that taught me how to be a strong woman who stands up for what is right and how to be a lady. I learned about inner and outer beauty I learned to walk in faith and to keep my head up during every test and trial during the time of the group I learned a lot but there aren’t enough words to explain how much I learned from the beautiful women of the group thank you so much for everything you women have taught me. • she would help me wanna be a bright young lady ☺? she gave me a purpose to think that I’m beautiful, she showed me no matter the size, color etc that I’m worth it. And I started loving my self and knowing my self-worth .there was a point in my life where I thought I wasn’t gonna make it, but she talked to me and I realized that I shouldn’t let people decide my happiness.❤I have sorta went back my ways of being sad but I’m sure talking to Isis is gonna be a great benefit to my life and she’s helped my family understand what I’m going through and they understand so dose she ?❤..some days when she talks to me and says something that is right and I know is right I sorta bud out ? ?..but other than that I’m a much happier person then I was when I started service with her and I would like to continue Service .i wanna say thank you Isis for the Great opportunity to make me a much brighter young lady that I am today? Before I begun Ruth’s Way I was dealing with a lot of different struggles. Ruth’s Way has helped me with maintaining focus on the goals I set. My favorite asset to the corporation was that their insinuations actually fit what would best help me personally. Because of my beginning the program I was to receive help on basic needs like a washer and dryer; while maintaining focus on setting goals. I am truly grateful for Ruth’s Way dedication and support.